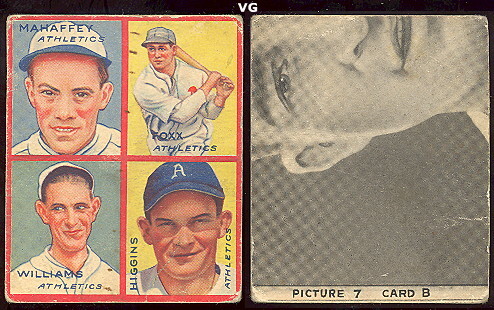 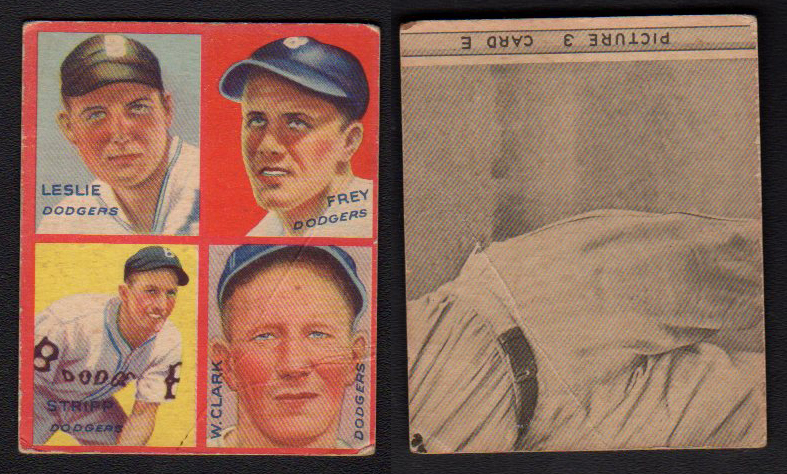 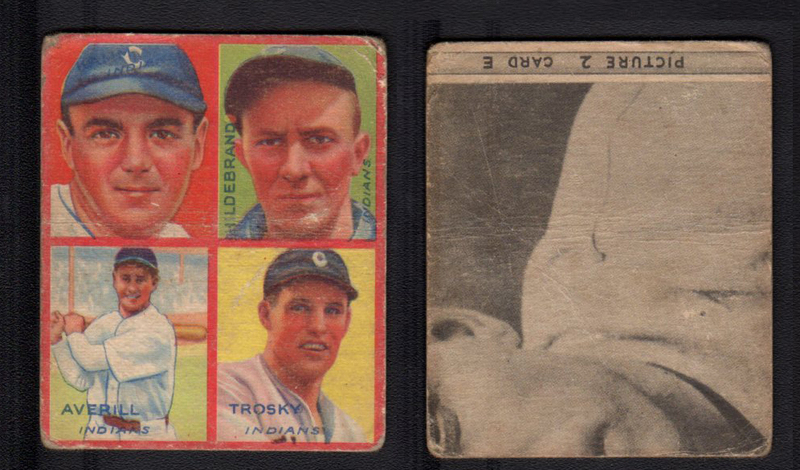 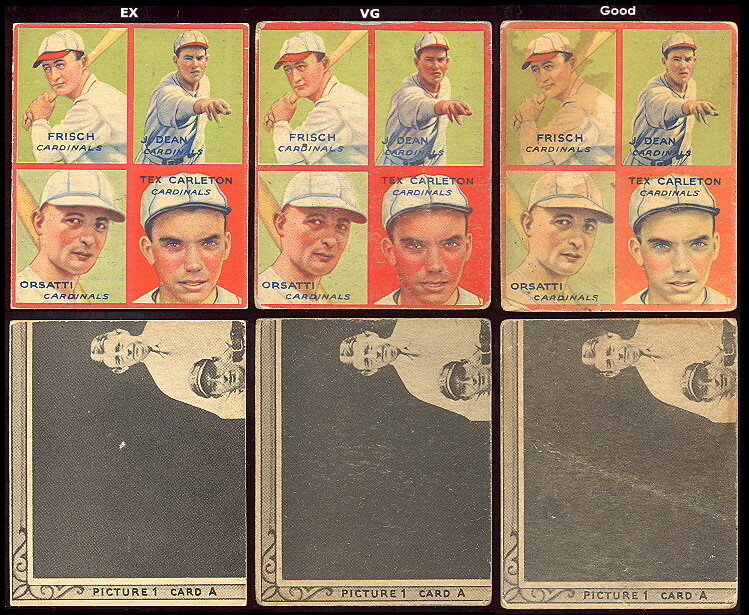 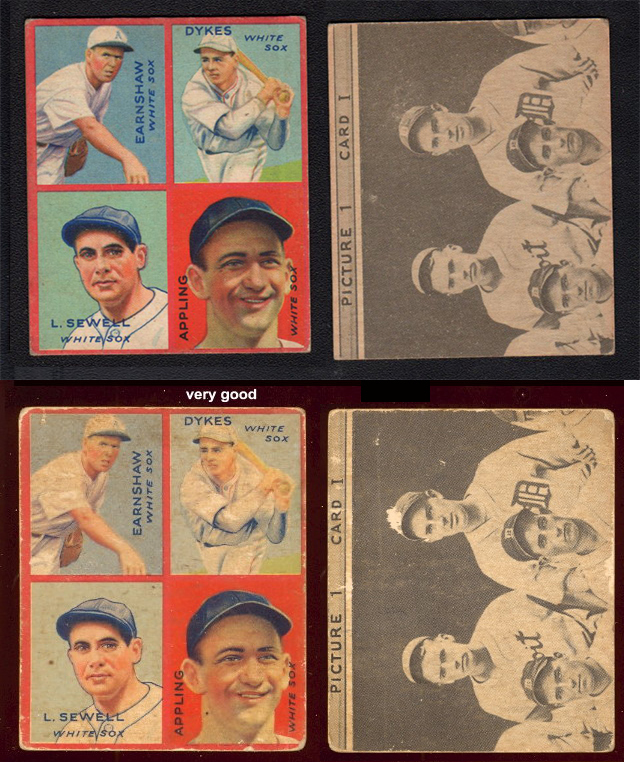 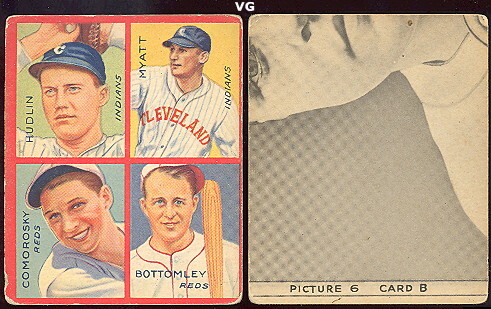 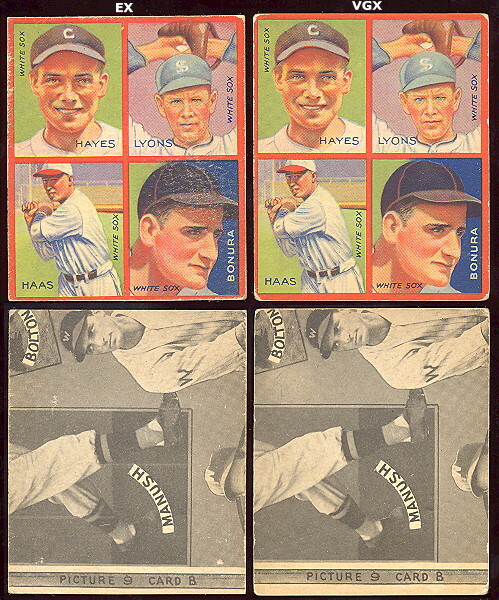 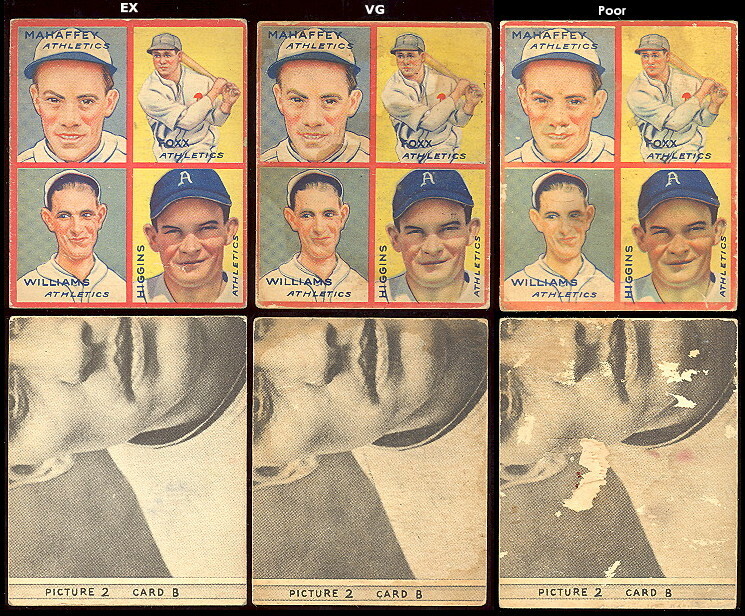 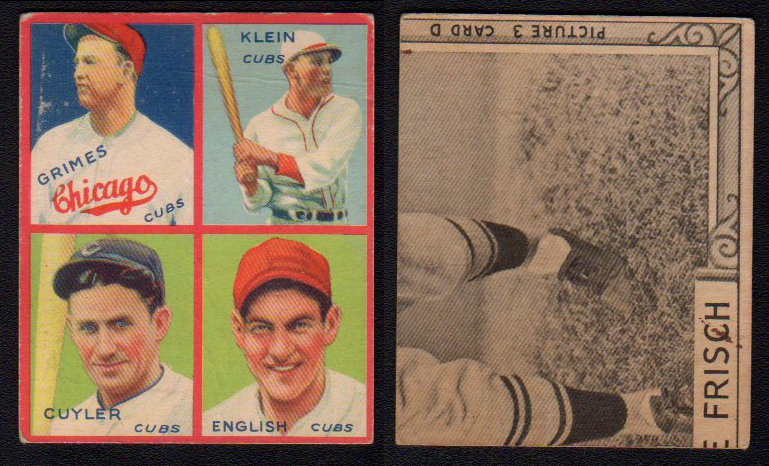 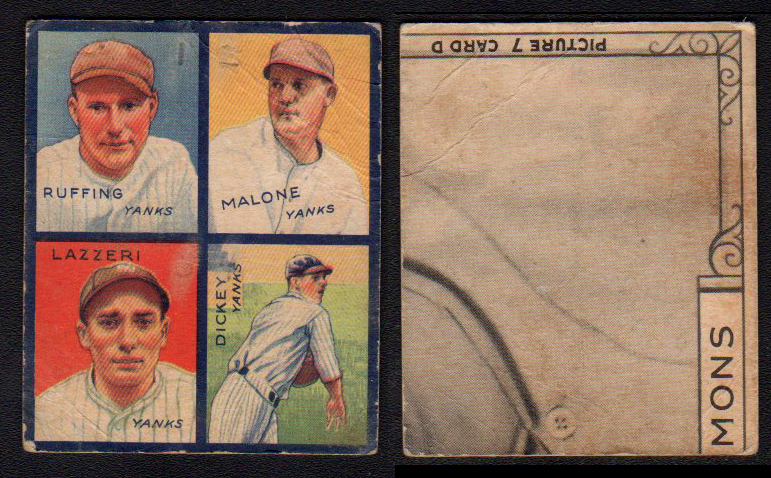 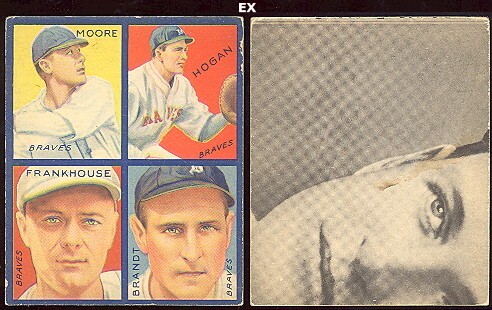 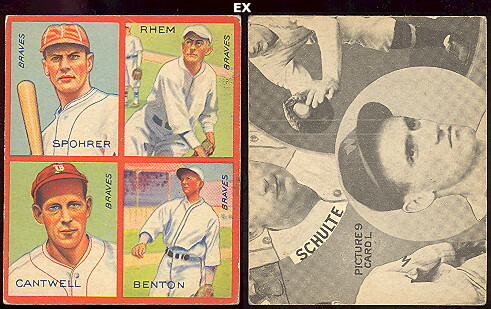 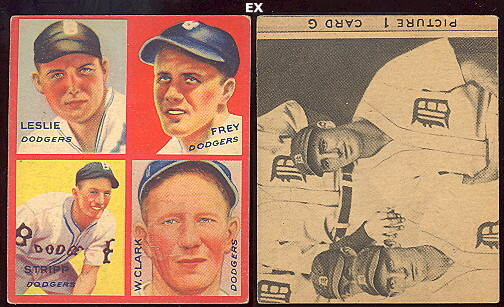 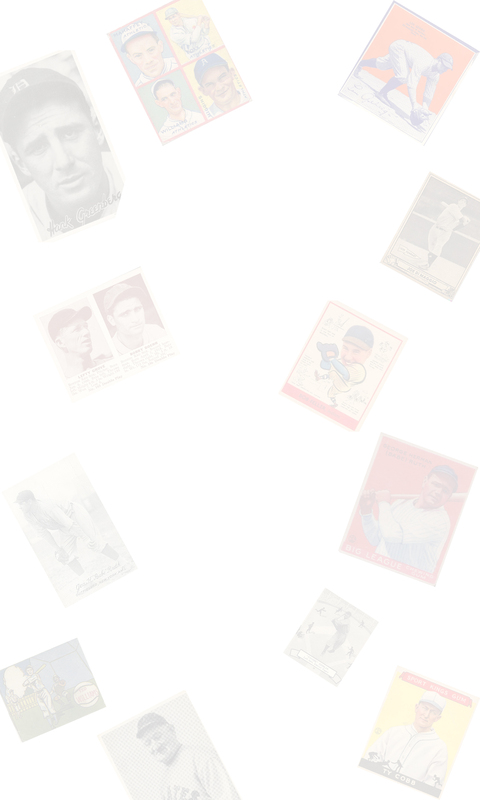 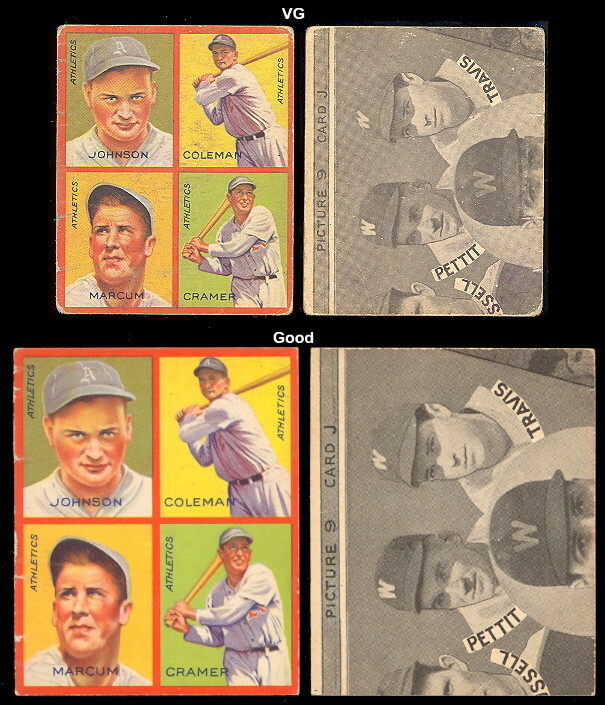 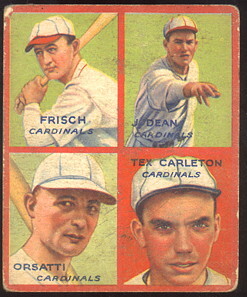 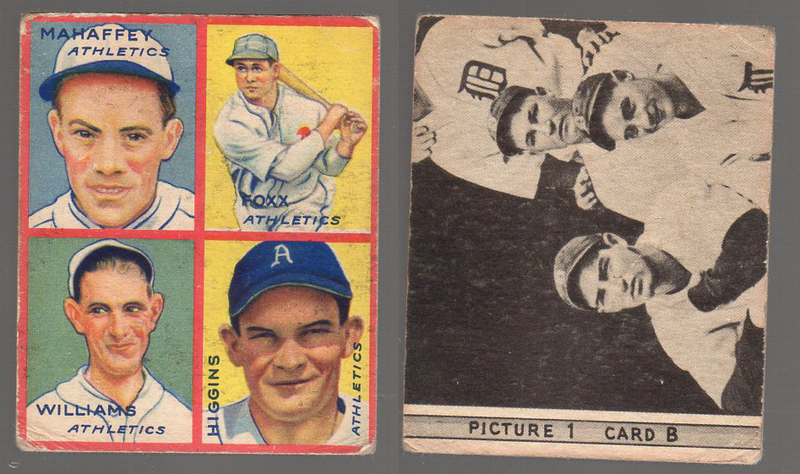 This page features Goudey cards from 1935. 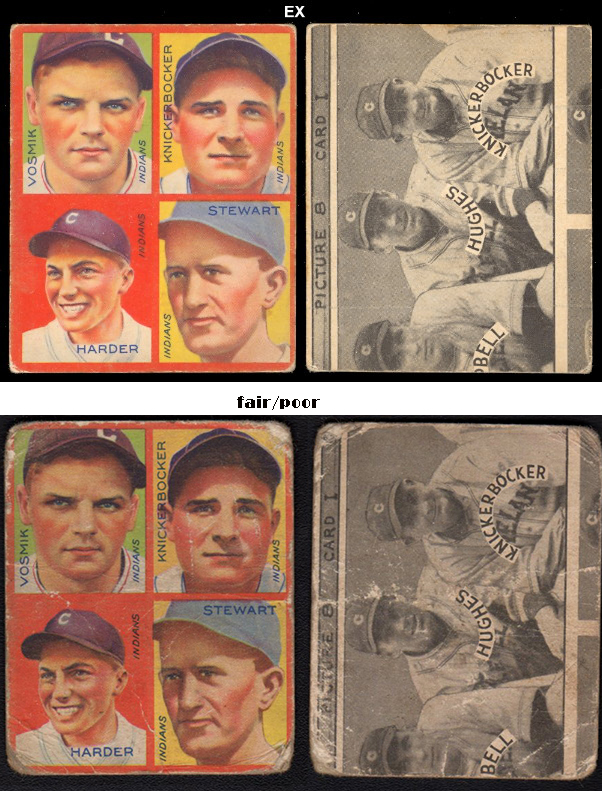 The 4-in-1 (R321) cards feature portraits of four players on each card, and make two puzzles on the back. 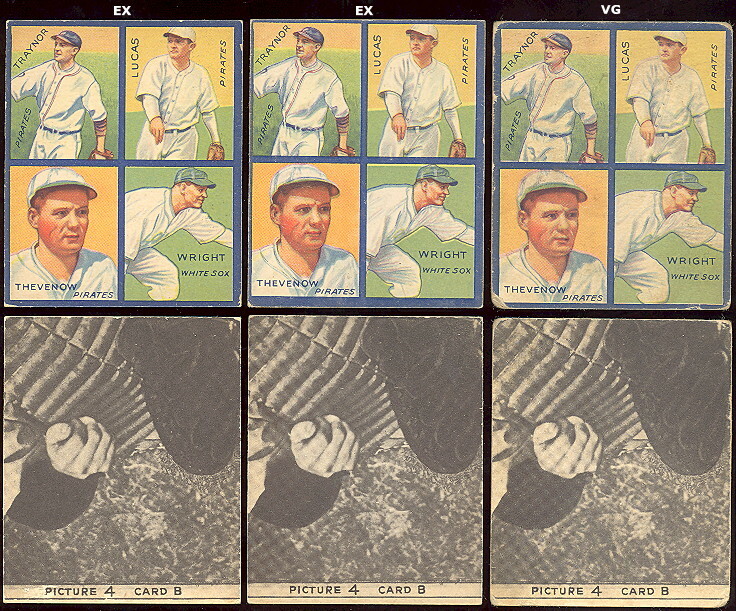 There are numberous front and back combinations in this 36 card set. 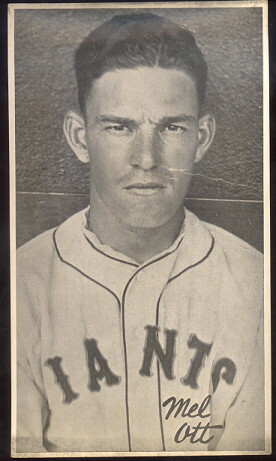 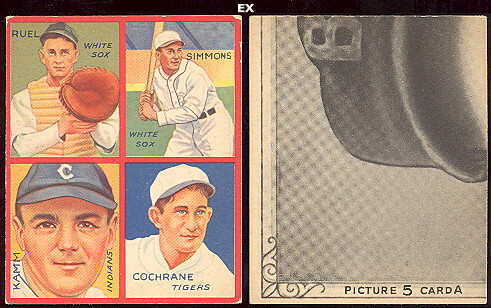 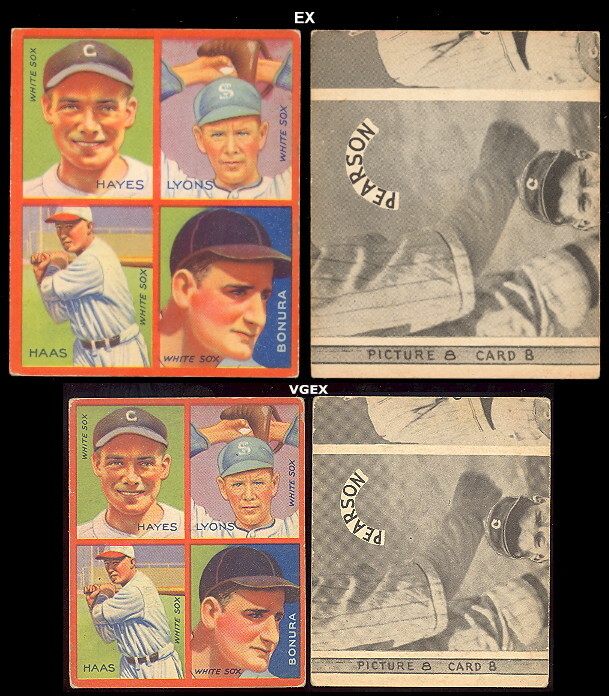 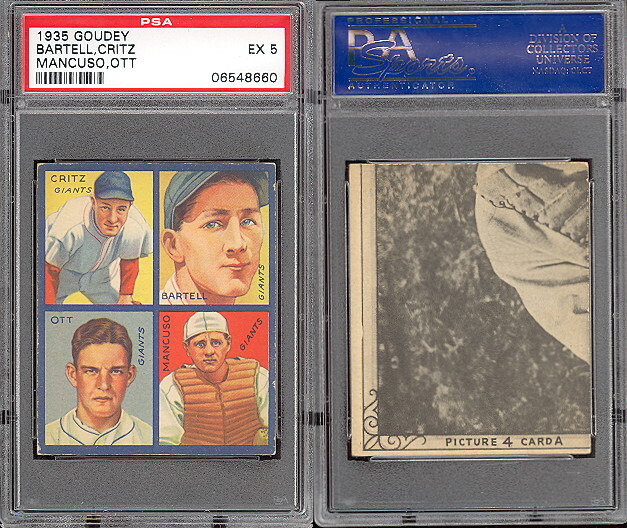 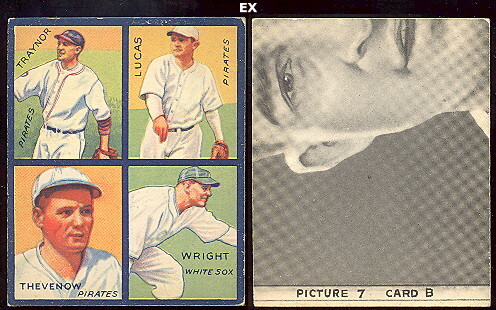 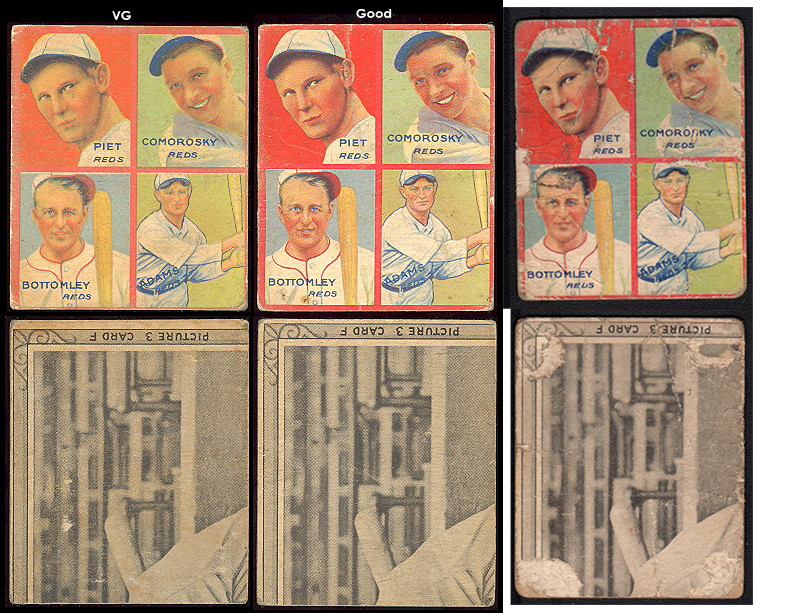 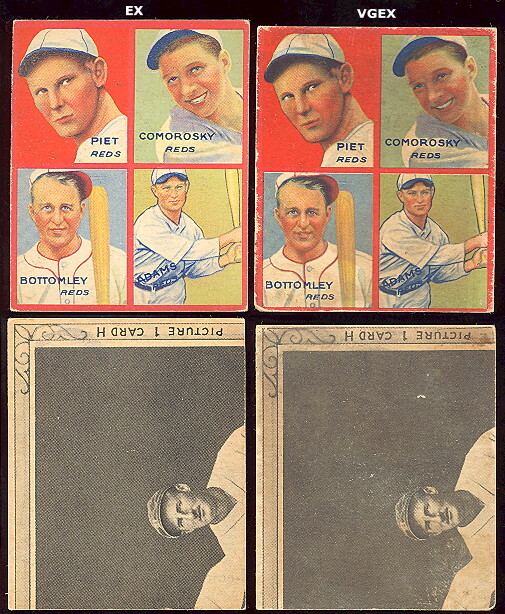 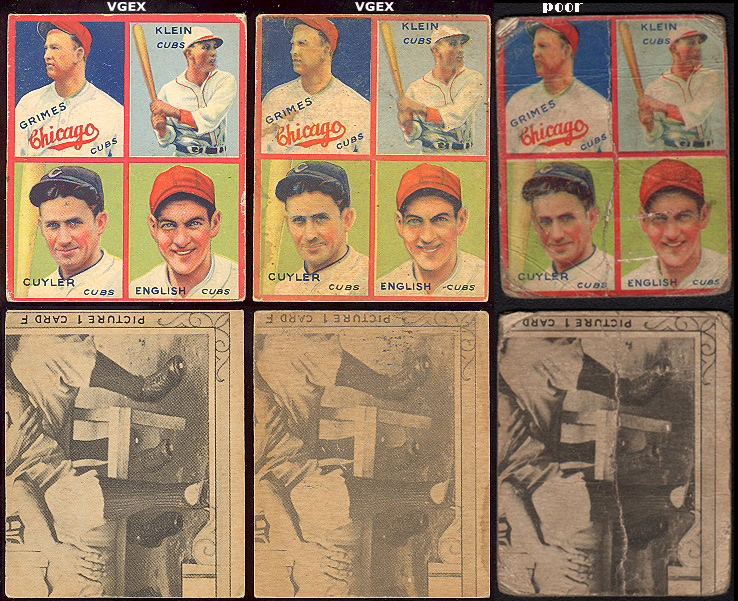 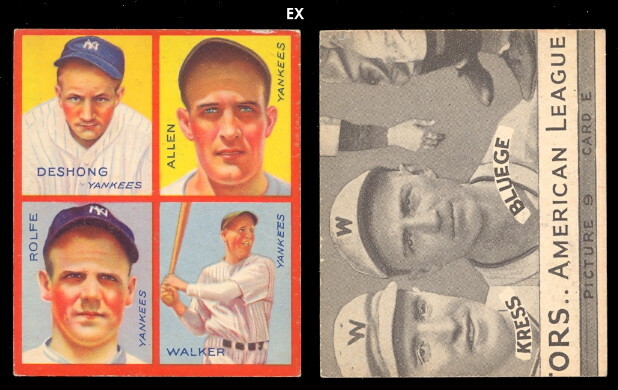 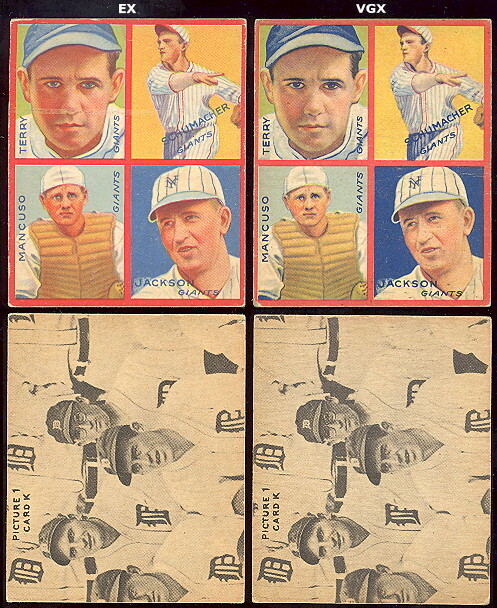 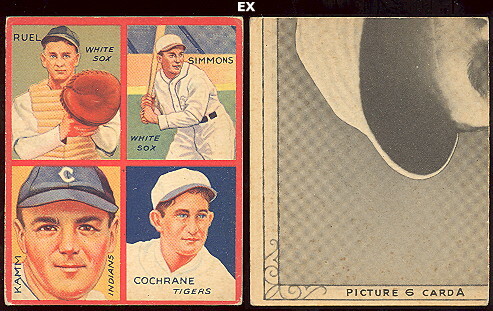 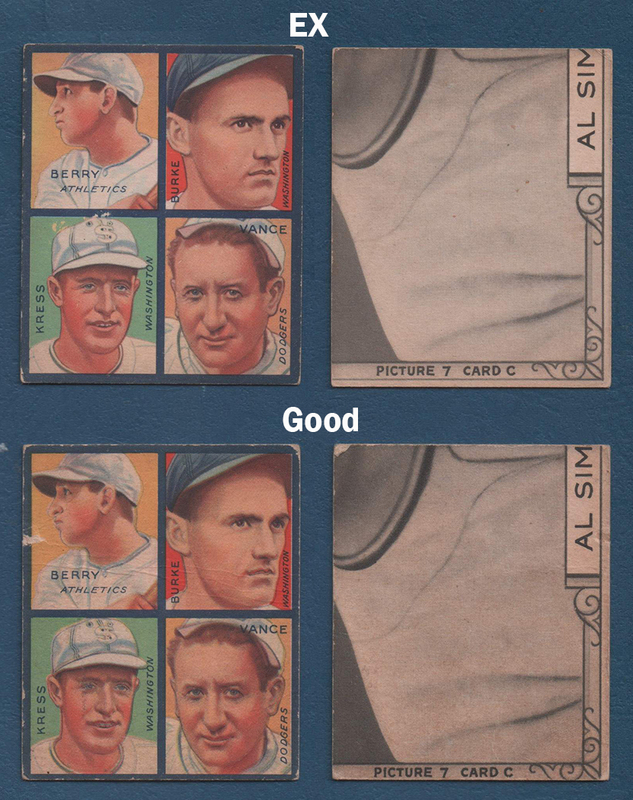 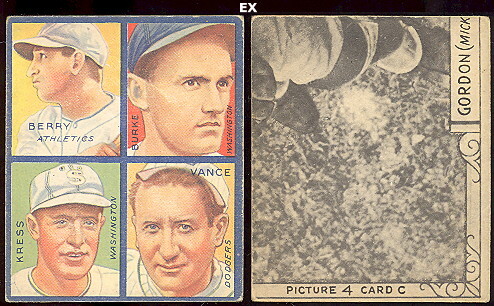 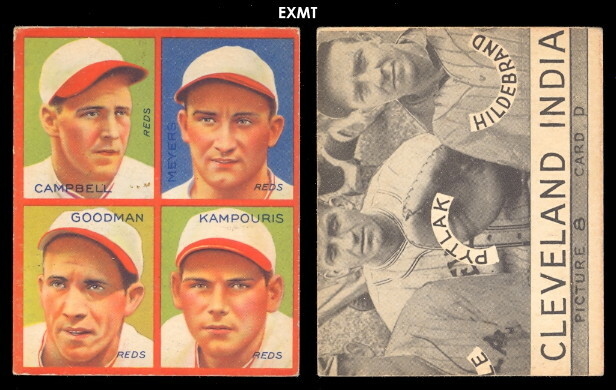 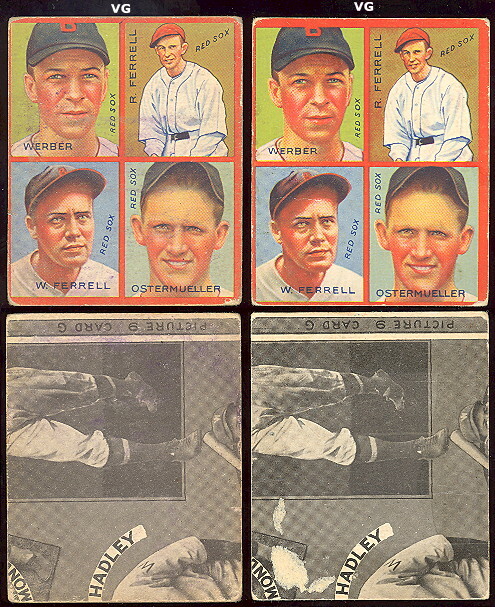 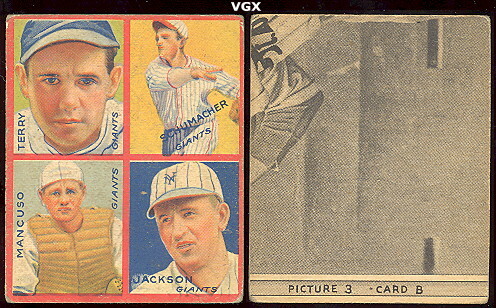 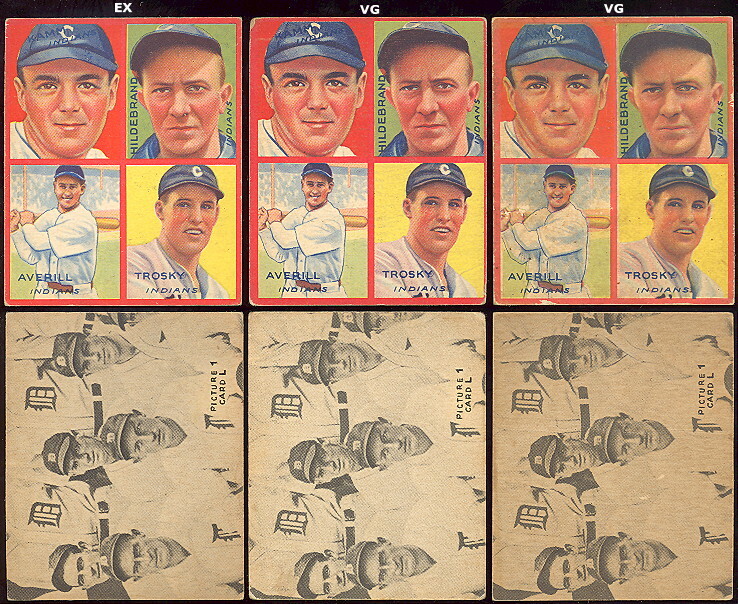 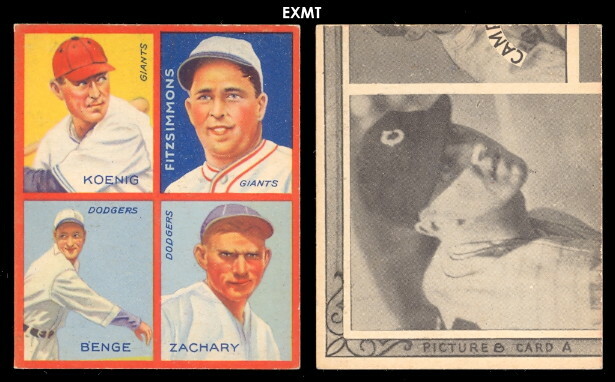 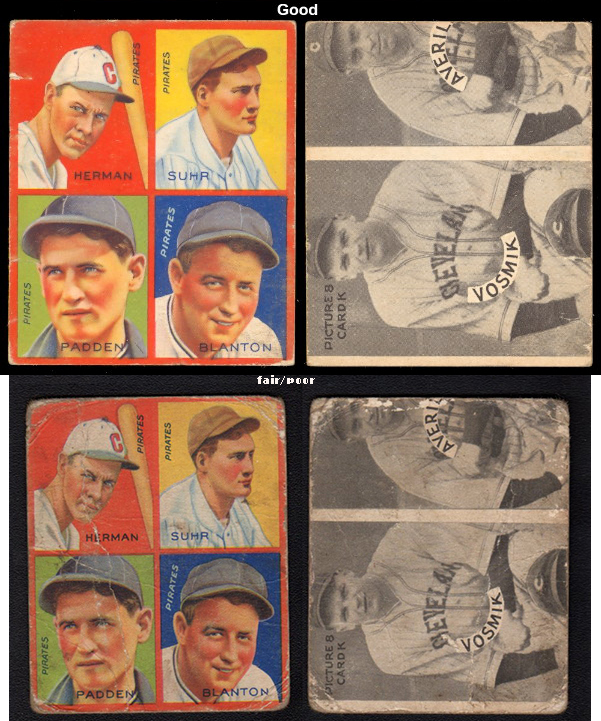 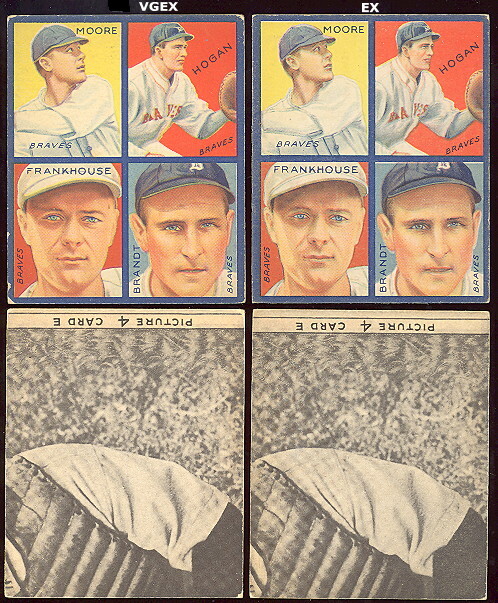 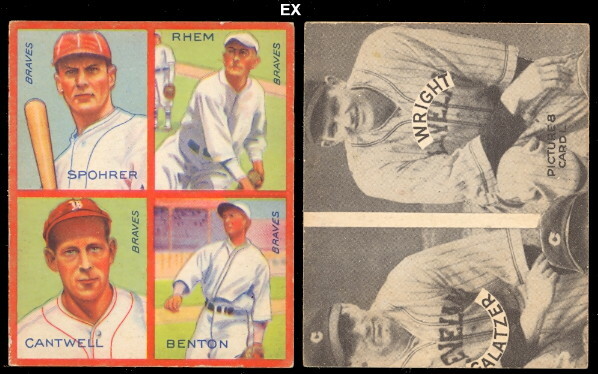 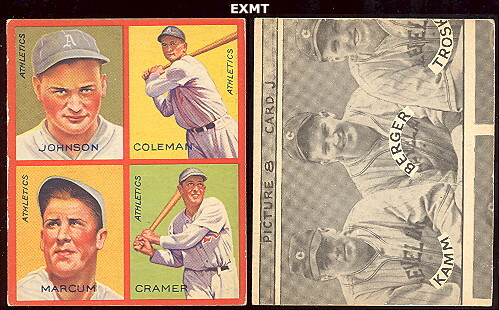 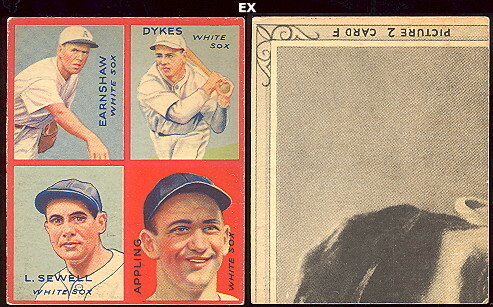 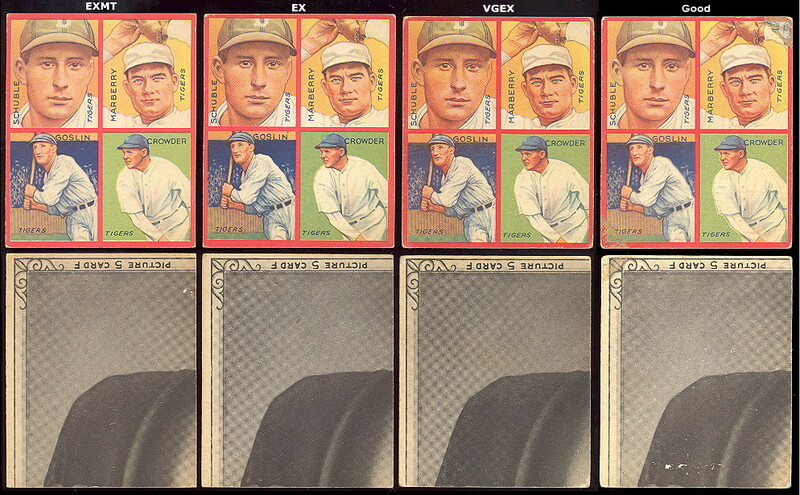 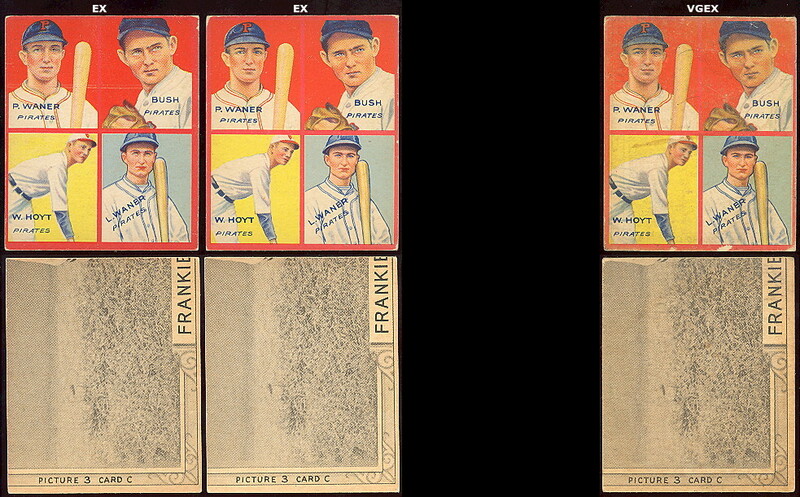 The Goudey Premiums (R309-2) are large black and white photos, 5-1/2" X 9", and were issued by retailers in exchange for coupons from 10 goudey wrappers in 1935.
actual size 5-1/2" X 9"
The card number reflects the number used by SCD cataloge, and the puzzle number on the back of the cards.